This latest collaboration between LiB and The British Beauty Blogger is rumoured to be their last so it’s not unreasonable to expect something great. For £16.95 (with free P&P for a limited time) you get 12 products, some you might be more familiar with than others, half of which are full size. 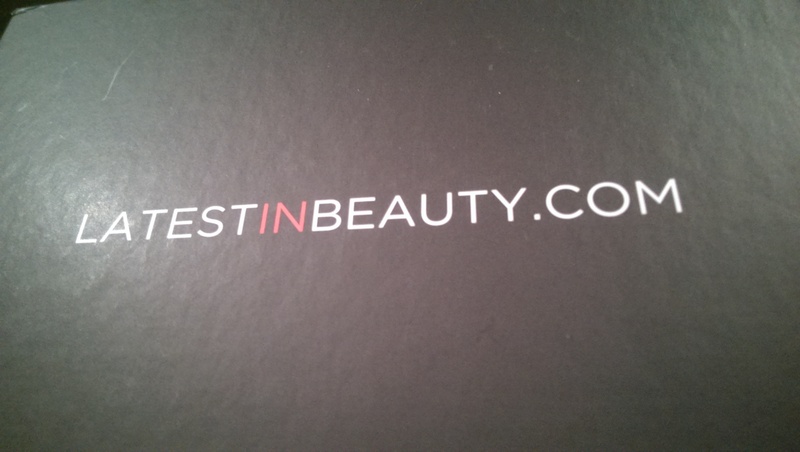 There’s something for almost every part of your body, from your hair, to your lips, to those dry little bits! 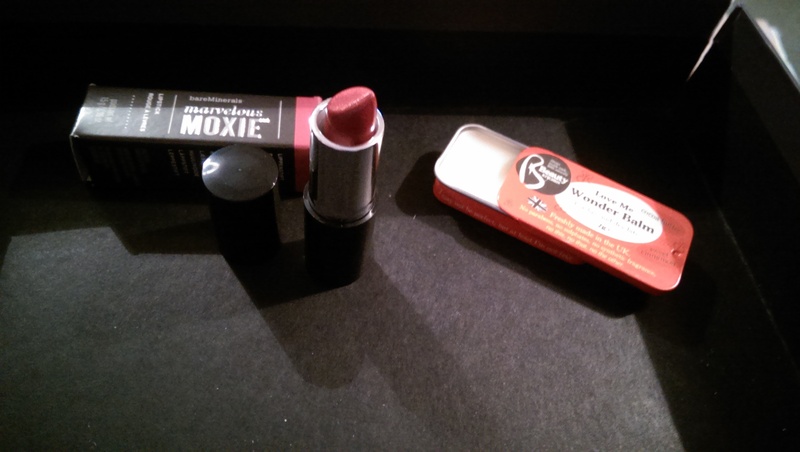 BareMinerals Marvellous Moxie Lipstick in Raise the Bar (£17.99) – a dinky mini lipstick to pop in your handbag in a pinky red, that I quite like and I’m not really a lipstick fan. Beauty Kitchen Love Me Wonderbalm £2.99) – cocoa butter with a sweet cinnamon scent for your lips, dry patches (elbows!) and all in a handy tin, perfect for the oncoming grotty weather. There’s also a special 40% discount for Beauty Kitchen. 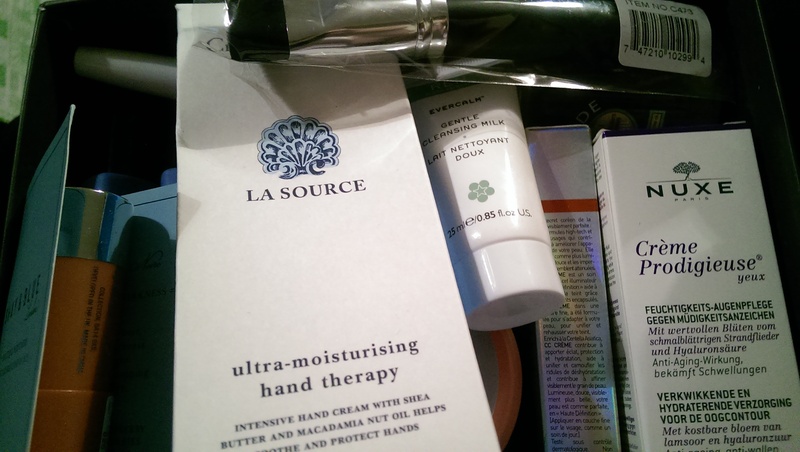 Crabtree & Evelyn Le Source Hand Therapy (£9) full size moisture packed hand cream with a fresh, clean scent. 20% off in store or online with the voucher code given. Maybelline Dr Rescue SOS Nail Balm (£3.99) another pocket sized product, this nail and cuticle stick should help keep my nails happy. 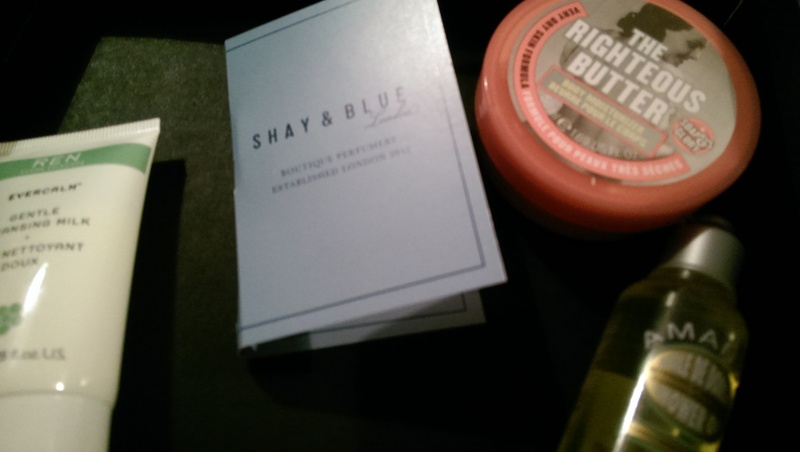 Shay & Blue Framboise Noire Fragrance (£5) I’m really fussy about fragrance, but I like this one rather a lot. A warm, berry scented perfume suited rather well to these darkening days. Nuxe Prodigieux Eye Cream (£18.50) this is a brand I have been seeing everywhere, and I rather like the face masks I’ve already tried. I don’t use an eye cream so this will be getting a trial. Plus 15% off online. 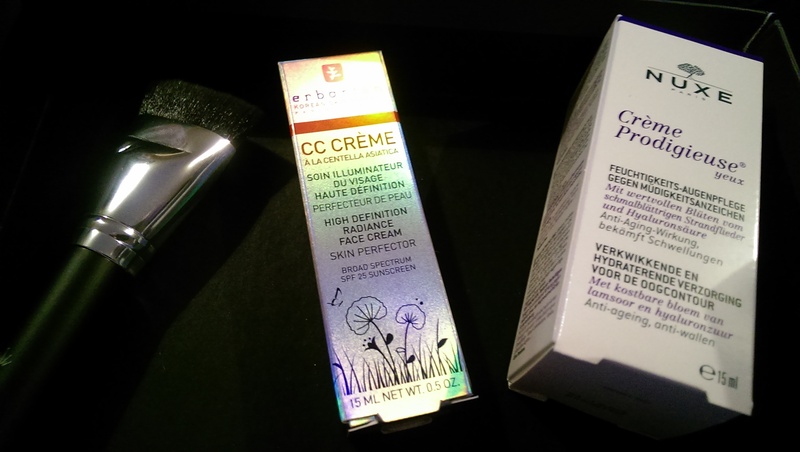 Erborian CC Cream (£17.00) I’m rather wedded to my Clinique CC cream but I’ve read a few reviews of this Korean brand so I might just give it a whirl. 15% discount online. L’Occitane Almond Oil Shower Gel (£3) it’s no secret that this French brand and I have a love affair. I’ve tried this oil before, a little goes a long way and the same goes for the shower gel. Free full-size shower gel when you spend £35 on their website. 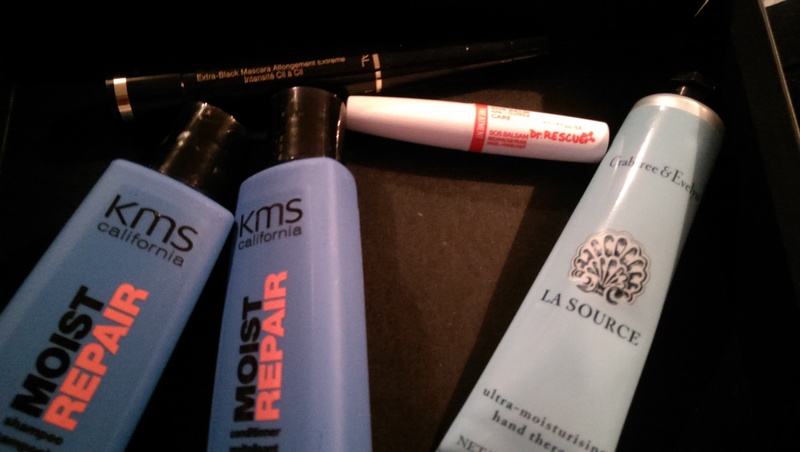 L’Oreal Paris Telescopic Carbon Black Mascara (£10.99) – regular readers will know I am not very impressed with how many mascaras turn up in beauty boxes, I only have 2 eyes and 2 sets of lashes! Soap & Glory The Righteous Butter Mini (£2.50) I love S&G, and the Righteous Butter and I are old friends. It smells amazing and leaves my skin soft for hours. Ren Evercalm Gentle Cleansing Milk (£2.75) this is supposed to be a soothing way to remove your make up, we’ll see how my super sensitive skin takes to it. I could do with a make up remover that my skin loves. 20% off online. KMS California MoistRepair Shampoo (£4.50) and Conditioner (£5.00) my boyfriend has already stolen these, he’s run out of both! Free full size repair crème when buying shampoo or conditioner. Crown Brush Pro Studio Contour Brush (£9.99) so I’m a bit of a novice when it comes to all this contouring business, still just trying my best to look vaguely human but this brush is so soft I might just have to give it a go. 15% off online. Collection Speedy Blush Sticks in Tickled Pink & Cheeky (£3.99) at first look, this is really, really pink, but when swatched it’s more of a peachy tone. £1 off at boots.co.uk. 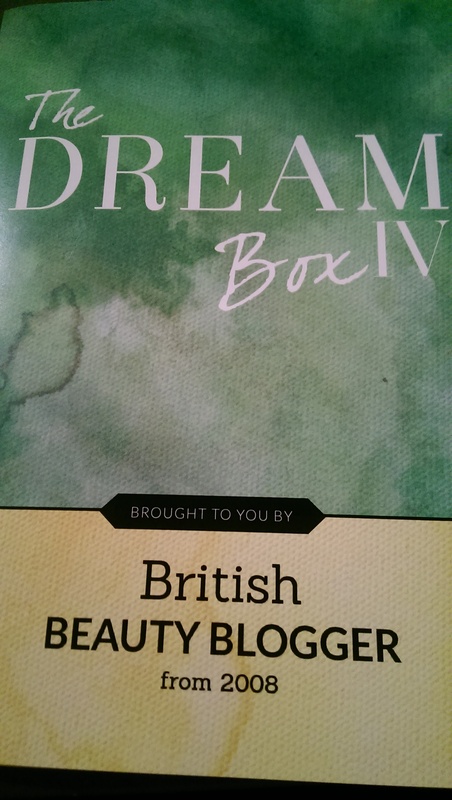 So, a box full of fab products, offers and treats for your skin. Really impressed with this box, that barely closes, it’s so full!